I have been raving about Glossybox a lot recently. GLOSSYBOX is a monthly subscription box that delivers 5 luxury beauty products that include niche, high-end and emerging brands to your doorstep monthly. You all probably already know that I am a huge beauty and subscription box fan. Receiving a beauty subscription box allows you to feel like it is Christmas every month. I love the surprise, the variety and the fact that I get to try high end products that my frugal budget wouldn't otherwise allow. When my first Glossybox arrived I was literally jumping for joy. This is definitely the prettiest subscription box that I have seen. It comes in a sturdy light pink box that has a pretty black and pink design on the inside with the Glossybox logo. 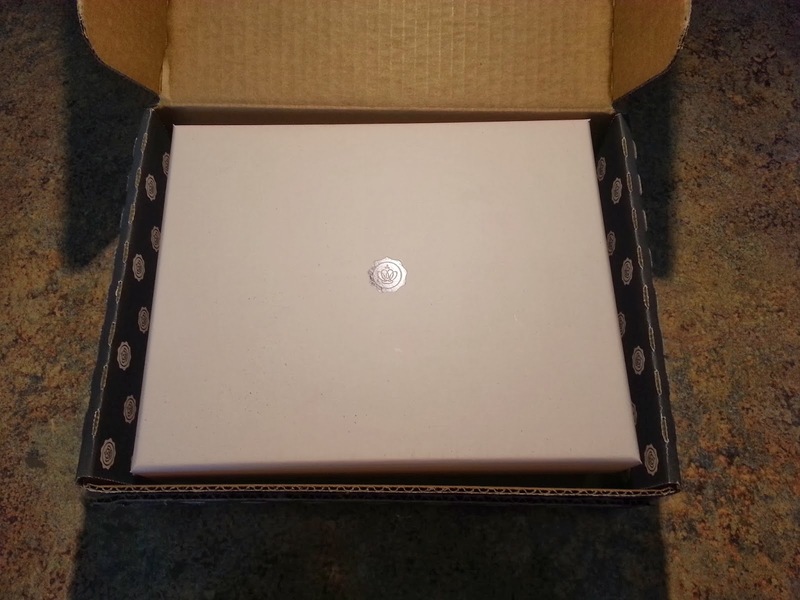 The box is definitely reusable and the lid could even be used as a jewelry or makeup tray on your nightstand. Everything was wrapped pretty in tissue, but I tore it open in my excitement. See how pretty the box is? This is the products organized inside the lid. Wow! The Beautyblender and Bellapierre Blush are both full sized products (and the Beautyblender had a bonus sample)! The other three samples are all 1/3- 1/2 sized samples. It definitely well exceeds the $21 a month price of Glossybox (which is cheaper if you order multiple boxes). So which product was I doing the happy dance for (I literally did a happy dance in my kitchen..I am cool like that.)? The Beautyblender! I first received one of these sponges in a subscription box about 1-2 years ago. I thought it was ridiculous and tossed it to the side. A few months later I found it and started using it for liquid foundation. I fell in love. It is now all I use to apply foundation or BB Cream. It does such a fantastic job of blending your makeup and it keeps the oil from your fingers off of your face. I have purchased a few cheap knockoffs...they are not the same. Beautyblender is truly unique and definitely worth the money. I am so happy that I now have a replacement/ back-up Beautyblender! I was really excited for all the products in this box. I have heard a lot about the TONY&GUY texturising spray. It smells really good and makes my hair feel like it has more volume. I can definitely see what the rave is all about. I also really loved the Balance Me body wash. It smells AMAZING. It has juniper, bergamot, geranium and lavender essential oils in it that make me feel like I am at the spa. It foams nicely and feels fantastic on my skin. I would have to test it much longer to know if the toning part truly works, but I really like it regardless. The Bellapierre mineral blush is a gorgeous, sparkly pink. It is great for night events where you want to add just a touch of sparkle to your face. This 4gm container is also a nice size and will last me for ages. Last but not least, the Vichy cream. I have been using this cream like crazy and it hardly looks like I have touched the container. While it is a smaller container, it is going to last a long time. As for the cream itself, it is very hydrating and non-greasy. It is not my favorite out of all the moisturizers I have tried, but I like it. I will keep using it until this sample is gone. 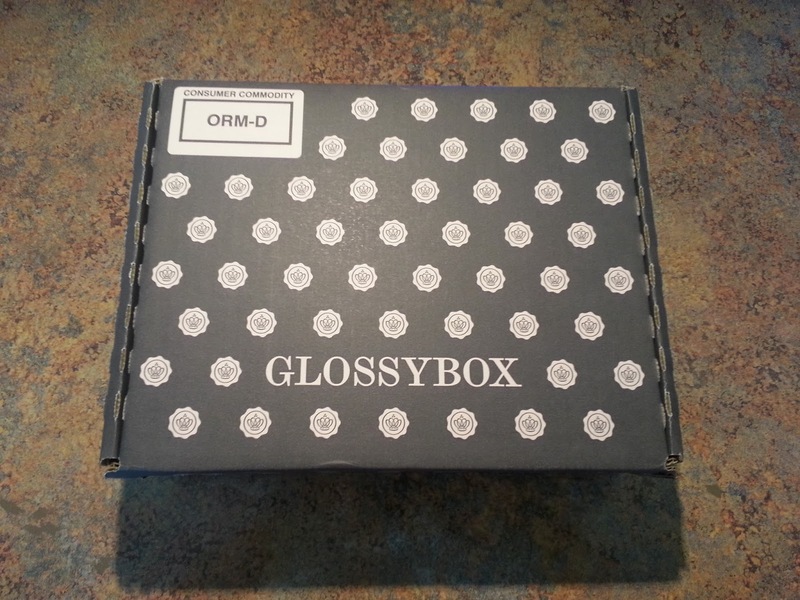 My first impression of Glossybox is definitely a good one! I have some great news for you also: come back March 14th-21st to enter to win a Glossybox! That's right, one lucky reader will be treated to their own box. If you can't wait to order Glossybox, then use code "GBFRESH" when signing up to get a free Fresh Lotus Youth Preserve Face Cream with subscription (expires 3/31/14). *Disclaimer: I received this Glossybox for free in exchange for this review. I was not compensated in any way. All opinions are my own. This post also contains affiliate links as part of my partnership with Glossybox. I would like to try it because I would become familiar with new products.